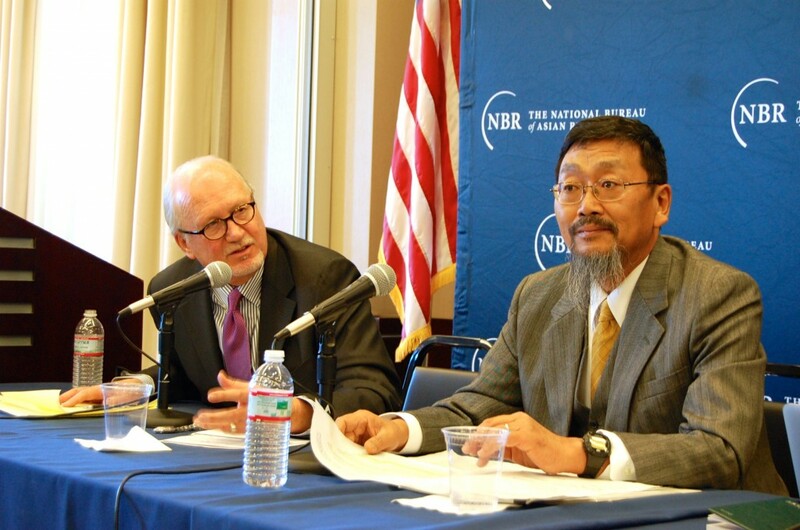 Earlier this week, the Henry M. Jackson Foundation and the National Bureau of Asian Research launched NBR’s 2014 Energy Security Report at an event entitled “China’s Energy Crossroads: Forging a New Energy and Environmental Balance.” The event in Washington, DC, attracted a large, diverse, policy-oriented crowd with a particular interest in Asia-Pacific affairs and China’s growing energy demands. 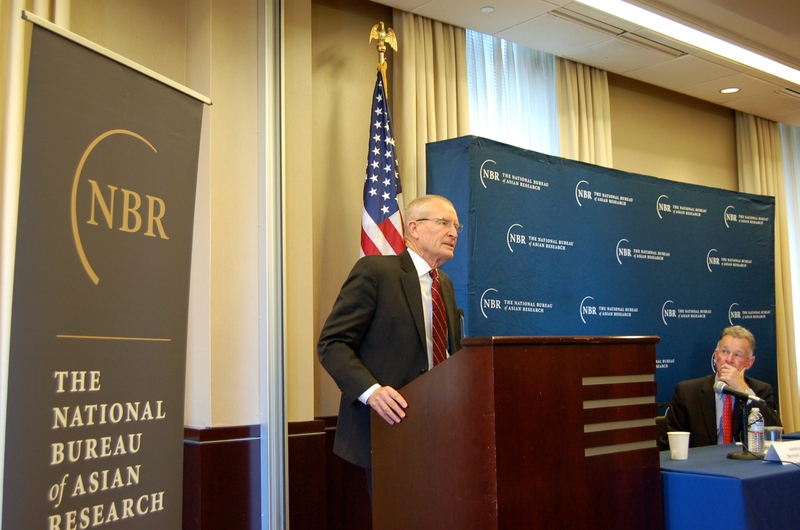 Admiral Dennis C. Blair, former United States Director of National Intelligence and member of NBR’s Board of Directors, started the day with a note of optimism on a few fronts: one, the recent joint announcement by the U.S. and Chinese government outlining steps each country will take to reduce carbon emissions and the warming of the global climate. This “bright spot” in U.S.-China relations, as another speaker referred to it, will provide leadership to other major countries on climate change politics. He also emphasized that the Chinese middle class, increasingly vocal and unhappy about air and water pollution in China, is being heard by Chinese political elites and is contributing to a sense of urgency about the need to act on China’s environmental challenges. I was struck at the event by the monumental nature of the challenge that China faces today, and the truth in the title – a crossroads – and its implications not just for China, but for the world. China no longer has the luxury – to the extent that it had it at all – of focusing primarily on growth without regard to environmental consequences. It must face the results of its laser-like intensity to grow the economy. The good news is that China’s political elites are well aware of this now. The more difficult part is figuring out how to deal effectively with all the myriad problems this poses: to the healthcare system, to China’s regional partners and global allies and rivals, to domestic political concerns within China, to its military and strategic thinking as it seeks to reinforce its current energy resources and explore new avenues beyond fossil fuels. 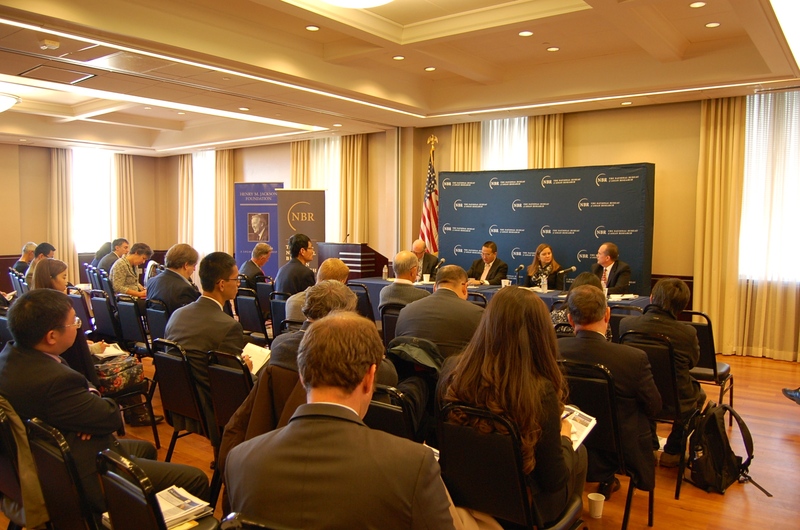 China’s energy demands continue to be a driver of both foreign and domestic policies and a spur to innovate. Its decisions will impact America, other regional powers in Asia, and beyond. NBR’s 2014 Energy Security Report discusses these interconnected concerns in a series of highly readable, policy-oriented briefs intended to inform policymakers, energy specialists and Asia-watchers. Free copies of the report are available here.